Choosing the right materials are essential to maintain the integrity of rail networks. A lot of older stadiums leak at the expantion joints. the ones that don`t, through, are characterized by a design and build process that involves a shift in the traditional way contractors relate and execute their work. This shift coupled together with the new modern sealant material and system`s are helping to maintain the integrity of new stadiums, tram platforms and other public facilities. Over the years contractor have started to prefabricate huge section of precast panels, that are to be craned into position on site. these units are then sealed with a Double Seal System. 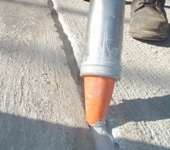 Swiftseal has been working nationwide for many year now applying these critical sealant systems.